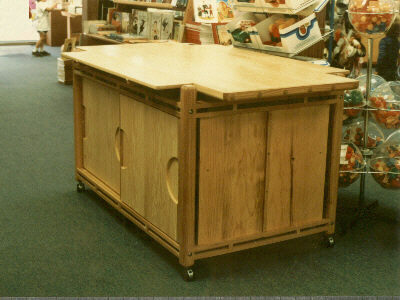 Several of these unique storage unit/ table cabinets were designed and made for the Children's Book and Music Center in Santa Monica, California. The style is a combination Japaneese/ craftsman look. They were made in a "knock down" style to facilitate easy transportation and assembly. 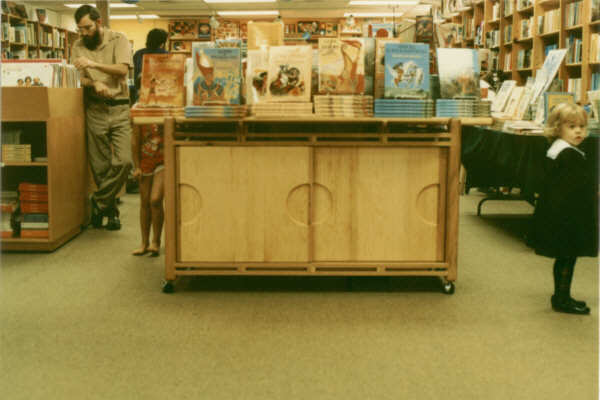 The large table surface is ample sized to hold a large number of books and the sliding doors hide a high volume shelved storage space. Materials were clear pine. red oak and plywood.